Throughout history alcohol has been an integral part of human culture. In fact, our taste for alcohol may be a hardwired evolutionary trait, resulting from a single genetic mutation. Scientists theorize millions of years before modern humans began making wine, ale and spirits, this enzyme mutation provided our ancient ancestors with the ability to break down the ethanol found in rotting, fermented fruit eaten when other food was scarce. For the past 10,000 years or so, people have made alcoholic beverages by fermenting sugars in whatever fruits, grains, or roots were available. Because ethanol has antimicrobial benefits, in the days before modern sanitation, beer, wine and other fermented beverages were healthier to drink than water. Recent data shows alcohol consumption in the U.S. has significantly increased in the last decade. While underage drinking declined slightly, adult consumption increased across all demographics. Older Americans, minorities, women, and people of lower levels of income and education have seen the largest increases. Some medical professionals see this as a concerning trend, a wakeup call with potentially dire implications for American’s future health care, wellbeing and mortality. According to a study published recently in JAMA Psychiatry, the number of adults who binge drink at least once a week may be as high as 30 million. A similar number of people reported alcohol abuse or dependency. Binge drinking is defined as consuming four or more drinks on one occasion for women, and five or more for men, as well as exceeding those limits at least four times a month. These quantities of alcohol raise the blood-alcohol level to well over the .08 legal limit for driving. Research shows that binge drinking is a common occurrence among females, with one in eight women and one in five high school aged girls engaging in the behavior. Per the CDC, 24 percent of women between the ages of 18 and 24 binge drink, followed by 20 percent among high school girls and women aged 25 to 34, at which point the rates decline. One in four men binge drink, twice as many as the number of women who do. However, due to simple physiology, binge drinking affects females differently than males. At the same consumption levels, women tend to reach higher blood alcohol levels than men, even when taking body size and other factors into consideration. Patterns of excessive drinking show that during individual evenings of drinking, bad choices are more likely to be made and injury risks greatly increase. For women, binge drinking heightens the risk of breast cancer, heart disease and unwanted pregnancy. While binge drinking is not the same as alcohol addiction, it is by far the most common pattern of excessive alcohol consumption. Per CDC director Thomas Frieden, “at least 80 percent of binge drinkers are not alcohol dependent. Still, over 90 percent of people who are drinking too much are binge drinking,” leading to some 23,000 deaths among American women and girls each year. Both men and women regularly exceed the minimum number of drinks set to determine binge drinking status. Men typically average nine drinks per episode roughly five times a month. For women, it’s an average of six drinks per episode about three times per month. When one’s drinking causes distress or harm, it may be considered an alcohol use disorder. Drinking alone, temporary blackouts, isolation, irritability, making excuses to drink and choosing to drink while ignoring other obligations can indicate alcohol abuse. Prolonged drinking puts one at risk of developing serious health complications and may have other potentially life-threatening consequences. Heavy drinkers have a greater risk of liver and heart disease, depression, stroke, serious stomach issues, several types of cancer, traumatic injury and fatal accidents. While low-risk drinking is not without risks, staying within low-risk limits is a good option for many. You can reduce alcohol-related risks by staying within low-risk drinking limits, taking steps to be safe when drinking or stopping altogether. For men, low risk drinking limits mean no more than four drinks on any single day and a maximum of fourteen drinks per week. For women, it means no more than three drinks on any day and a maximum of seven drinks per week. The good news is that responsible moderate drinking may be beneficial for healthy people. 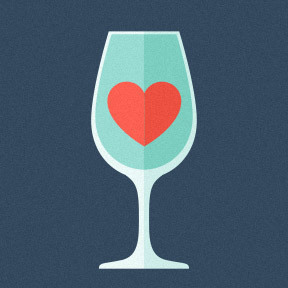 There’s some evidence that moderate alcohol consumption may reduce the risk of developing heart disease, and possibly reduce the risk of ischemic stroke and diabetes. Moderate drinking is defined as one drink per day for women of all ages and men over age 65, and up to two drinks per day for men aged 65 and younger. One drink may be smaller than what most people realize. One drink equates to 5 ounces of wine, 12 ounces of beer, 3-4 ounces of sherry or port, 2-3 ounces of a cordial or an aperitif, or 1.5 ounces of brandy, cognac or distilled spirits. Those suffering from alcohol addiction are more likely to experience numerous vitamin, mineral and antioxidant deficiencies. These may include calcium, magnesium, selenium, zinc, and vitamins B and C.
Kudzu Recovery™ by Planetary™ Herbals: Traditionally used in Chinese medicine to safely address alcohol overuse, this proprietary herbal formulation helps to lessen the desire for alcohol and provides liver cleansing and detoxification support. Anti-Alcohol with HepatoProtection Complex by Life Extension: This formula provides broad-spectrum nutrients to support healthy liver function, combat alcohol-induced free radicals, and neutralize alcohol metabolites. Non-GMO formulation. Buffered Vitamin C by Integrative Therapeutics®: This complex provides buffered vitamin C, plus calcium and magnesium in support of healthy skin, bones, and teeth and a healthy immune response. Gluten, soy, dairy, soy and artificial ingredient free, vegetarian formulation. L-Glutamine 1,000 mg by Pure Encapsulations®: This free-form amino acid complex supports healthy gut integrity and enhances the mucosal lining of the intestinal tract. L-glutamine supports proper nutrient utilization and absorption, and helps to limit the amount of toxins that pass through the intestinal barrier. Gluten and soy free, Non-GMO vegetarian formulation. AntiOxidant Formula by Pure Encapsulations®: This synergistic broad-spectrum antioxidant formula is designed to protect against cellular free radical damage. Gluten and soy free, Non-GMO formulation. B-Complex with Metafolin® by Douglas Laboratories®: This comprehensive B complex provides eight essential B vitamins in highly absorbable form, as well as intrinsic factor, a nutrient necessary to optimal B12 absorption. Gluten, soy, dairy and artificial ingredient free, Non-GMO vegetarian formulation. This entry was posted in Home and tagged 000 mg by Pure Encapsulations, Anti-Alcohol with HepatoProtection Complex by Life Extension: This formula provides broad-spectrum nutrients to support healthy, AntiOxidant Formula by Pure Encapsulations, B-Complex with Metafolin, Buffered Vitamin C by Integrative Therapeutics, Kudzu Recovery by Planetary Herbals, L-Glutamine 1, Our Love of Alcohol, Professional Supplement Center, Vitamins and supplements, www.professionalsupplementcenter.com. Bookmark the permalink.